Bannon was invited to campus by Professor Luigi Zingales to take part in a debate on globalization and immigration. The date for the debate has not yet been announced, but according to Zingales, Bannon has confirmed his attendance. 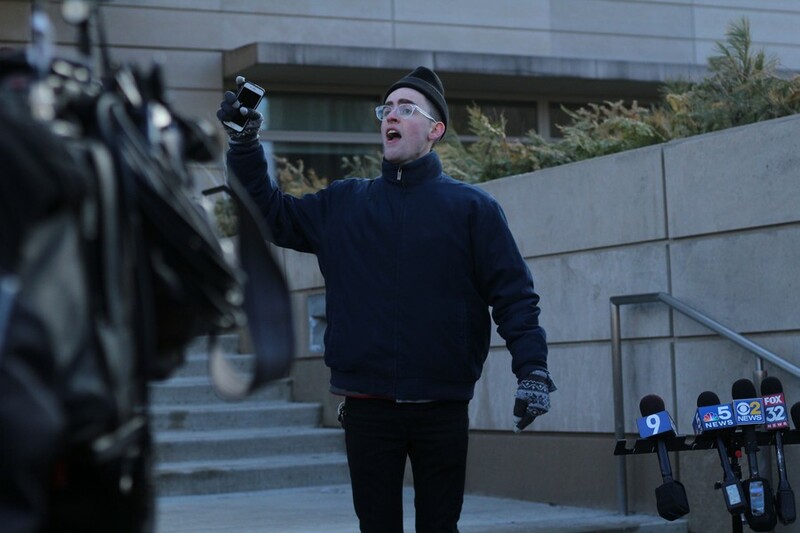 The protest was organized by 11 student activist groups, including the Young Democratic Socialists of America (YDSA), UChicago Socialists, UChicago Student Action, and UChicago United. Protesters from community groups were also present, including a speaker from the local chapter of Veterans for Peace. Under current University policy, any recognized student group, department, or faculty member can invite speakers to campus without seeking approval from the administration. According to University News Office spokesperson Jeremy Manier, the administration had not been informed that Professor Zingales had been in contact with Bannon. At press time, 44 professors have signed the letter. The University of Chicago Democrats (UC Dems) Executive Board released a statement expressing their anger at the invitation: “Zingales’s decision to invite Bannon to speak forces [marginalized students] to be linked to and to implicitly support a man who considers them less than human, and whose thoughts on populism are little more than thinly-veiled white supremacism. The UC Dems board statement acknowledges that Bannon has a right to speak, but that his ideas “contribute nothing to our intellectual life” and threatens many individuals on campus. A statement by the Student Government Executive Slate echoes the sentiment: Zingales had the right to invite Bannon, it says, but he has "grossly misstepped" by doing so. "We will soon announce resources and funding that students can leverage to send a strong and clear message to Bannon and the entire country," the statement read. "The invitation of one man should not implicate our entire institution in actively elevating a white supremacist, anti-Semitic, misogynistic, homophobic, anti-Catholic, and Islamophobic agitator." The College Council has also drafted a resolution, which will likely be voted on next Tuesday. President of the University of Chicago College Republicans (CR), Matthew Foldi, said in an e-mail to The Maroon that CR supports Bannon’s right to speak, though the organization never had an intent to contact Bannon and had nothing to do with Professor Zingales’s invitation. “We support Zingales's right to invite him, just as we support the right of others to protest,” Foldi wrote. He also observed that this may be the first public chance for Bannon to be questioned about his involvement on the Trump campaign and his upcoming testimony in the Russia investigation, since he left Breitbart earlier this month. At press time, the deans of the Booth School could not be reached for comment. For UChicago Socialists organizer Everett Pelzman, the next step for activists is to begin planning for the future. He ended his speech by advertising a public organizing meeting—scheduled tomorrow at 3 p.m. at the University Church—to discuss how protests should continue. "I can hardly think of a more important issue for new citizens and business leaders of the world than the backlash against globalization and immigration..."